Has it really been almost 4 months since my last post? Crazy how time flies. Thank you for the countless emails and texts wondering where I've been. As I mentioned in my last post, I have moved my studio out of my home to an amazing new location. 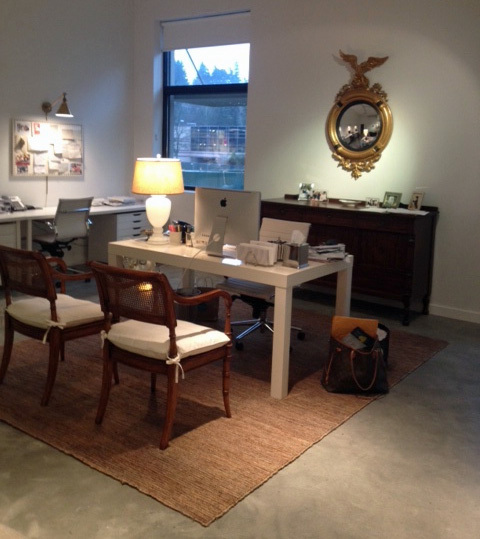 I am so grateful to have 1,000 square feet of studio space in one of the best parts of town. While I loved working from home, I had a really hard time keeping a work/life balance. I often found myself working late into the evenings and not being able to shut things off. I guess when you love what you do, it doesn't seem like work, but I knew I needed to make some changes. 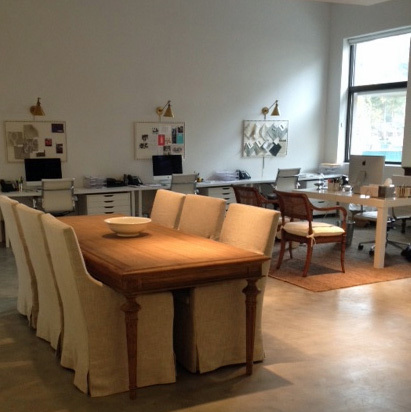 So, today I'm giving you a tour of my new design studio! Sorry in advance that all of these photos are taken with my iphone. The photo quality isn't that great, but you get the idea. 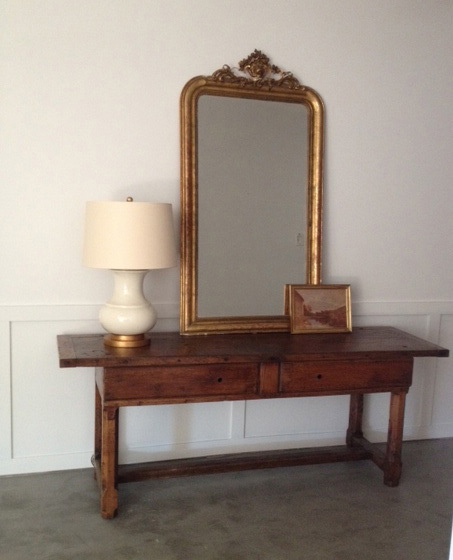 This 18th century convent table and mirror, both from France, grace the entry. Two of my favorite pieces here! My desk area. A tad messy, but you get the idea. A larger overview of the main space. My team sits along the wall and we have a nice big conference table to spread out projects and meet with clients and vendors. 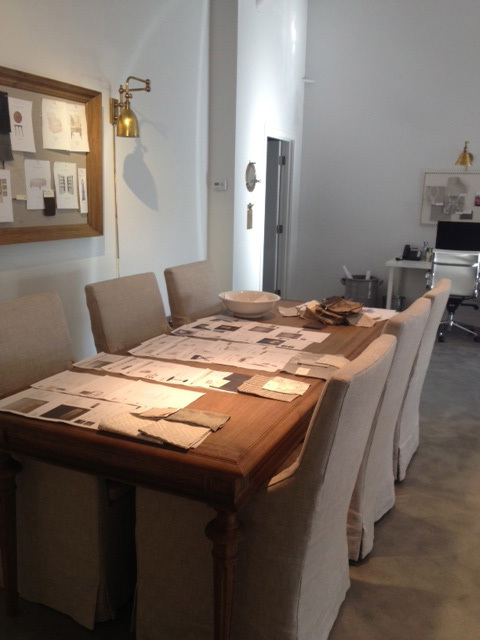 Another view of the conference table. We have a large bulletin board to pin projects up, which I love. 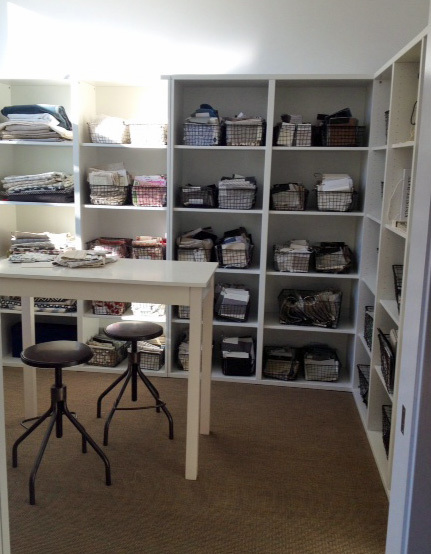 A separate room for my fabric library. What a dream! 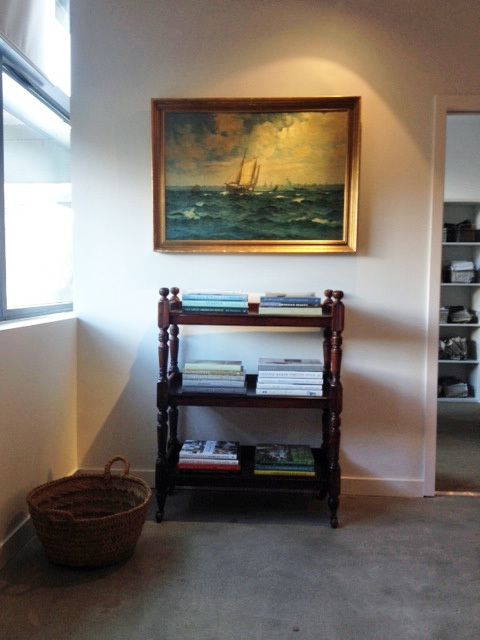 Outside the fabric library, I have an antique English dumbwaiter that holds design books. So, there you have it. Hope you enjoyed the tour!